Please Contact us or whatsapps at 016-7255372 ( Wendy ) or 012-6143049 ( Ms.Wee ) for further detail or to arrange for a demo at our showroom situated at Taman Melaka Raya , Melaka . You need to state price please. Kindly read the rules of the forum, failure to adhere to the rules will result in your post being deleted. In the late 1970s and early ’80s, when I was a teenager, integrated amps and stereo receivers were the jack-of-all-trades components. Both had multiple inputs, receivers had tuners, and virtually all had moving-coil and moving-magnet phono stages as standard equipment. While some integrated amps still come with phono stages, they’re usually added-cost options, and for the most part they’re disappearing. Increasing, however, is the availability of built-in DACs for streaming music files from a USB-tethered server. As music servers become more popular, expect this option to be more commonly available on integrated amps. 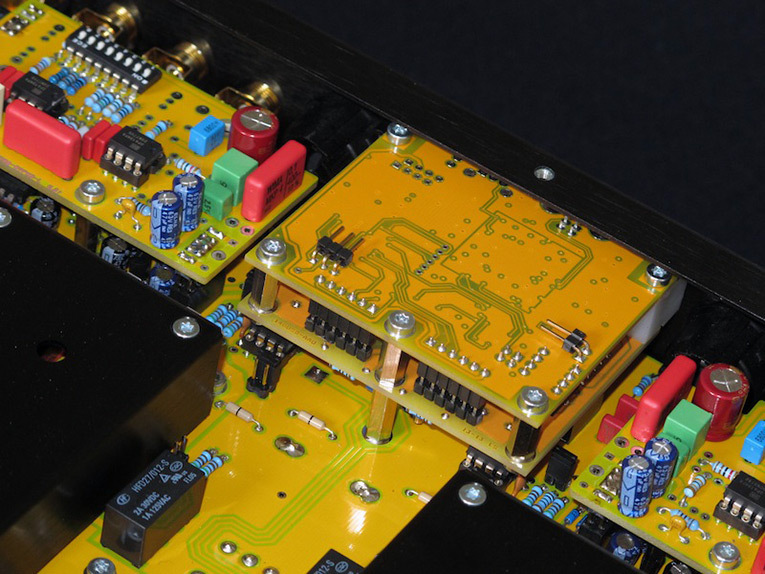 For those looking for a one-box integrated-DAC, this kind of feature will be quite attractive. To my knowledge, Bryston Ltd. fired the first shot with their B100 SST (now replaced by the B135 SST2); now, other companies are rushing to fill the void. To that list add Norma Audio, of Cremona, Italy, a city noted for its famous composers and makers of outstanding stringed instruments. While new to me, Norma has been in business since 1987, and is known for producing high-quality amplification and digital products. Norma was bought by Opal Electronics in 1991; after a seven-year interval for R&D, the company was relaunched in 1997, with the Revo line added a few years later. Norma Audio’s design brief for the Revo IPA-140 integrated-DAC is reflected in the philosophy of its chief designer and engineer, Enrico Rossi, whose love of song led him on the difficult quest to perfect the reproduction of the human voice. To Rossi’s way of thinking, the perception of sonic quality depends on being able to perceive specific sonic traits that are affected by the absence of distortion and grain. To achieve this, Rossi believes, there must be a lack of playback artifice, which can be achieved by minimizing degradation of the audio signal through the circuit. 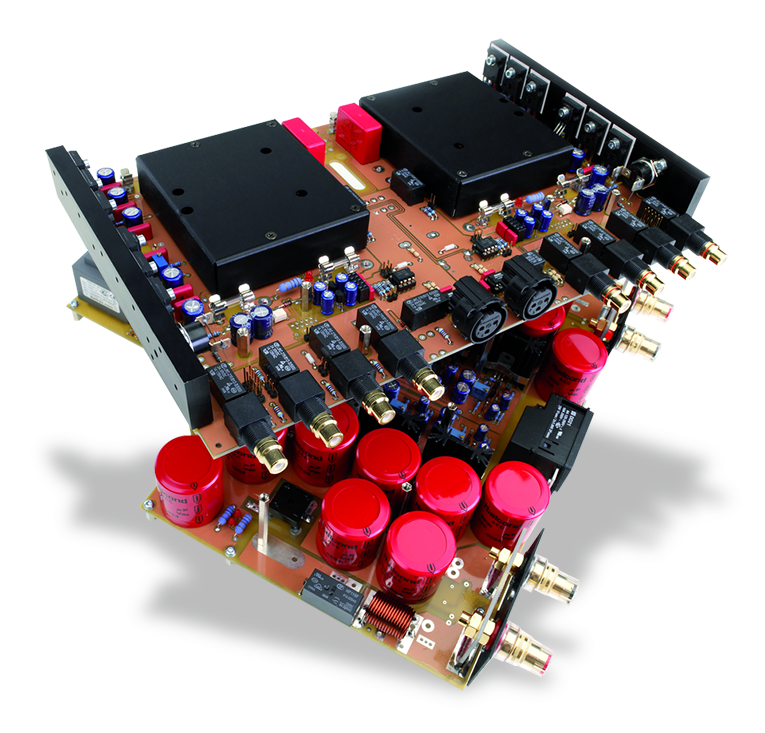 Rossi believes that simpler circuits are not necessarily better than more complex circuits; the circuits he designs for Norma Audio components are very elaborate, and their bandwidth must greatly exceed the audioband in order to improve the circuits’ overall speed and to instantaneously supply sufficient current. To that end, the IPA-140 has a low-noise, high-speed output topology comprising high-current MOSFETs. 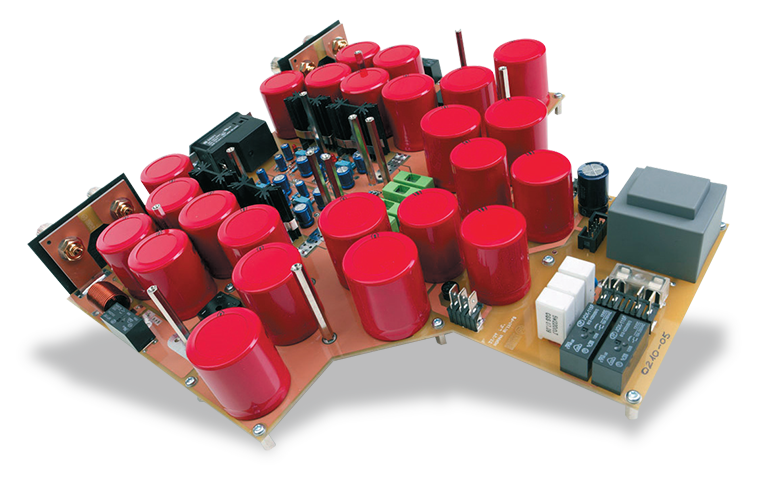 A solid-state, dual-mono design claimed to output 140Wpc into 8 ohms or 280Wpc into 4 ohms, with a frequency response of 0.1Hz-2MHz and a slew rate of 175, the IPA-140 compares favorably with considerably more expensive amps from Soulution or darTZeel. There must be a law that decrees that everything made in Italy must at least look beautiful, and the Revo IPA-140 doesn’t disappoint. The pictures on Norma’s website don’t do justice to it -- to be truly appreciated, the IPA-140 must be seen in person. With a thick faceplate and a case that sleekly tapers to the rear, the IPA-140 looks like nothing else on the market. The Revo measures 17”W x 5”H x 17”D and weighs, despite its slim lines, a hefty 55 pounds. Machined into the center of the front panel is a sculpted concave well, at its center a volume-control knob of highly polished chrome. If you’re fastidious enough that fingerprints on your smartphone drive you nuts, use the supplied remote control -- or gloves. To either side of the volume control is a smaller well, the one on the left for the IR receiver, the one on the right for rousing the IPA-140 out of standby and selecting one of the six inputs, each represented by a blue LED, in a row to the button’s right. The top panel has 12 ventilation slots in two columns of six each. Toward the Revo’s rear, its smoothly tapered sides are lined with heatsinks. Arrayed across the upper half of the rear panel, four pairs of single-ended inputs flank the sole, centrally located balanced input and the USB input . Just below these are the IEC socket and master power switch, flanked by shrouded five-way binding posts of high-quality plastic. Accompanying the Revo is Norma’s standard plastic remote control, capable of operating the IPA-140 and other components in the Norma product line. I’m no snob when it comes to plastic remotes, and this one was light and particularly well shaped, with scalloped sides that comfortably fit my palm. However, its volume-control buttons are indistinct in feel -- I almost always overshot the volume I wanted, and got more “Turn that down!”s from the wife than with any other component I’ve ever had. An optional metal remote is available, with volume buttons that look to be much better; I’d recommend paying the extra money for that reason alone. At two years for parts and labor, the warranty seems stingy -- but the IPA-140 is built like a tank, and Jim Ricketts of TMH Audio, Norma Audio’s US distributor, assured me that Norma has a US-based authorized technician available to perform any required service with total support from the factory, and that Norma’s components are anyway extremely reliable. The IPA-140 was a breeze to install. After unboxing it and plunking it down on my stand, I plugged it in with the supplied Neutral Cable Fascino power cord. While Jim Ricketts had recommended that I use input 4 -- it has the shortest signal path -- I used input 5, as that’s the Revo’s only balanced input. After linking everything together, I powered up the IPA-140 and, using the standby button, selected input 5. When listening via the Revo’s internal DAC, I replaced my Cardas Clear USB cable and used the supplied Neutral Cable Passion USB cable, again using the standby button to select the USB input. Throughout the entire review period, the IPA-140 worked like a charm. Despite extended listening sessions, often at high volume levels, the IPA-140 never got more than warm to the touch. Directly connected to my Meitner MA-1 DAC , the Revo IPA-140 proved amenable to whatever music I fed it. It played at high SPLs for long periods with ease, liquidity, and no sense of strain. Some amps clearly favor acoustic over amplified music. Not so the IPA-140 -- it was an all-rounder for all genres, but seemed to particularly relish amplified music. I listened to a lot of rock’n’roll and jazz fusion during its stay in my system. Crisp and articulate, with punchy bass and clean highs, the IPA-140’s sound was muscular, but with a delicate touch. In a previous review I’d mentioned the band Tia Carrera, an instrumental rock power trio/jam band, which had been getting plenty of rotation at my place. Well, add to that the Hedvig Mollestad Trio, fronted by the Norwegian guitarist and rounded out with a drummer and a double bassist. Sounding much like an instrumental hybrid of Led Zeppelin, Black Sabbath, and a jazz-fusion guitar trio, this band truly rocks. I’ve had both of Mollestad’s albums in near constant play since discovering her earlier this year. In “Gun and the E-Kid,” from her Shoot! (16-bit/44.1kHz AIFF, Rune Grammofon), Mollestad’s crunchy rhythm and sinewy leads, coupled with the stomping rhythm section, sounded positively primeval through the IPA-140. But despite the heaviness of the track, there was no muddling of the sound, and the abrupt changes in direction were expertly relayed. The IPA-140 was incredibly quiet and transparent, revealing wealths of fine detail. My friend Preet, a huge Beatles fan, recently brought over his DVD-Audio edition of Love to rip to my server. Afterward, while listening to “Because” (24/96 AIFF, Apple), we burst out laughing because we were so startled by the background sounds of birds and bees, which sounded spookily realistic. This track also highlighted the IPA-140’s ability to throw a wide, deep soundstage, with a reverberant echo and natural-sounding decay. The IPA-140’s transparency and soundstaging ability were also a great match for acoustic music, especially jazz, focusing on the primary players while still letting the supporting players shine. Although his Blue Note Records debut was released in 2008, another recent discovery for me is the very talented young jazz pianist Aaron Parks, whom I first heard in a documentary spotlighting up-and-coming jazz musicians unafraid of pushing the music in new directions. In “Travelers,” from Invisible Cinema (16/44.1 AIFF, Blue Note), it’s easy to get carried away by Parks’s incredible technique and finesse, but the beauty of the IPA-140 is that background instruments were not pushed aside, but unobtrusively enhanced. The intricacy of Eric Harland’s drum fills and the interplay of his snare and hi-hat were highlighted in a way that complemented Parks’s playing rather than competing for my attention. After listening extensively with the MA-1 serving as the DAC, I disconnected the Meitner, plugged the USB cable directly into the IPA-140, and selected the Revo’s USB input. Once I’d confirmed that the Revo’s DAC was recognized in Audio Midi on my Mac Mini, I began to play the same tracks again to assess the Revo DAC’s sound. Not too shabby, I thought. Though not in any way equal to the sound quality of the MA-1, it was nonetheless quite credible. The treble was crisp and clear, with no edge, and the soundstaging was again excellent, if perhaps a bit more constricted than the MA-1’s. The one obvious difference was that bass was less taut and somewhat indistinct, though hardly in a manner that would be offensive. 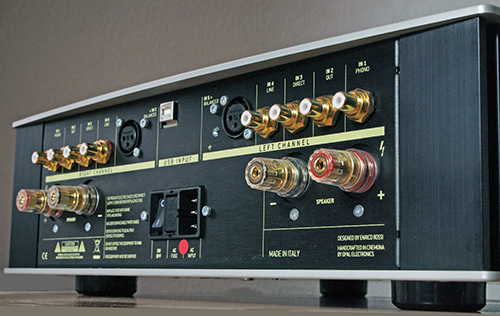 If I were interested in a one-box integrated-DAC, this would probably not be a deal breaker. Likely, my purchasing decision would depend on whatever tradeoffs competing products had. 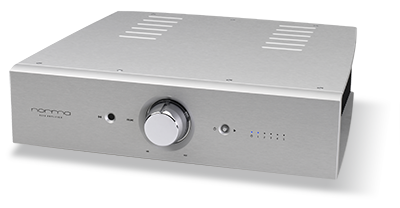 Compared solely on the basis of its performance as an integrated amplifier, the Norma Revo IPA-140 was fully competitive with my Jeff Rowland Design Group Concentra. While the Concentra sounded slightly warmer and the IPA-140 ever so slightly drier, the differences weren’t big enough to be decisive. Dynamically, the Norma was obviously much better, with noticeably better transient response and ease. While the Norma’s bass through its internal DAC suffered somewhat in comparison to the Meitner MA-1, when freed of its DAC the Revo IPA-140’s bass was noticeably tauter and more fully fleshed out than the Concentra’s. But to put all of this in perspective: I was comparing the Norma’s DAC option to a standalone DAC that costs seven times as much. What’s not to like about Norma Audio’s Revo IPA-140? Okay, the plastic remote control’s lack of volume sensitivity earns it a demerit; if I were buying, I’d opt for the metal remote. But, really -- gorgeous Italian design coupled with solid engineering and world-class sound? An internal DAC option to boot? 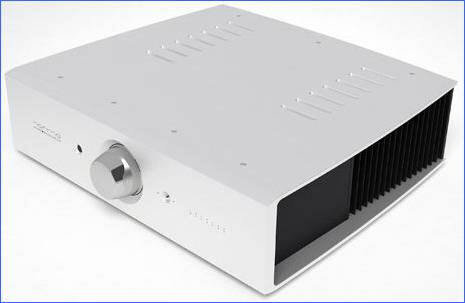 If I were in the market for a one-box integrated-DAC for $9600, here is where I’d start. Don’t need the DAC? No matter. Buy the Revo IPA-140 without DAC. You won’t regret it.